detail ink and embossed with clear EP. I colored it in with a gold Spectrum Noir brush marker. 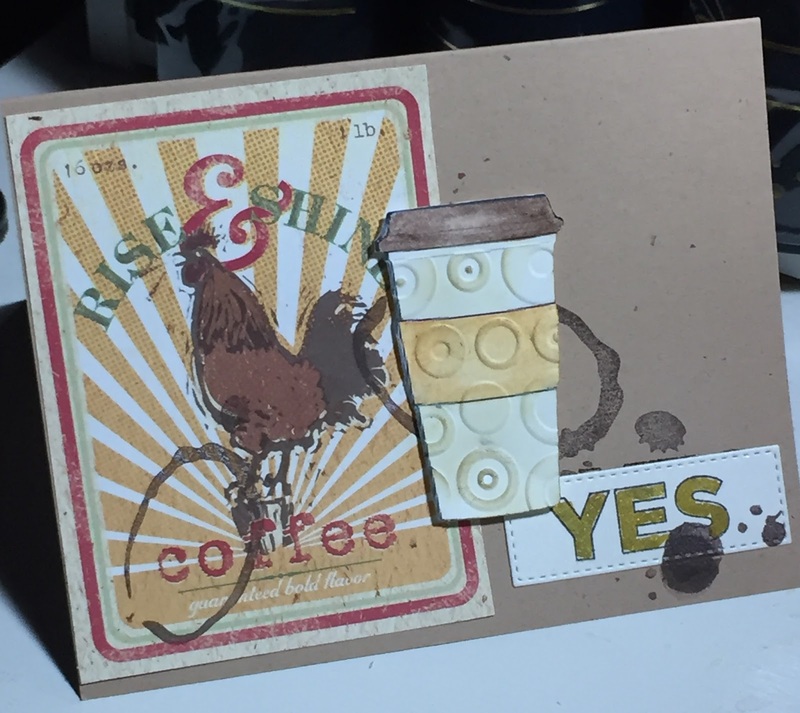 Really like your card and in particular the rooster which I guess is paper, not a stamp. Also I like the layers and texture you used. Kathy, both cards are so creative! Love that rooster combined with the cup and the vintage feel this card has! So wonderful. I love the rooster and the cup too. Love this! Love that paper! So fun, love the texture!